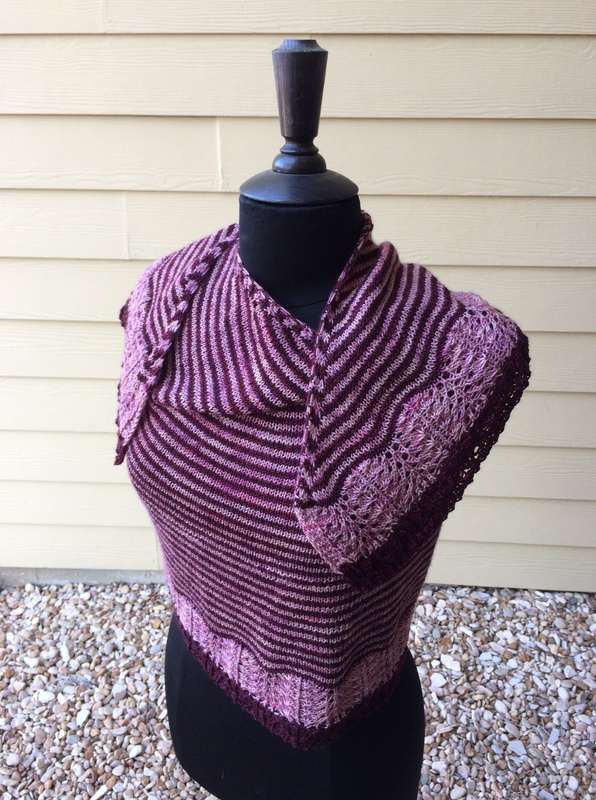 When Stacie Dawson of Must Stash Yarns, Ana Clerc of Yarn Carnival, and I decided to team up to create a shawl pattern with their yarns, we took the golden age of the circus as our inspiration. At the turn of the twentieth century, the circus was a major event in American life and has a distinct look and ambience that still lives in our cultural memory. 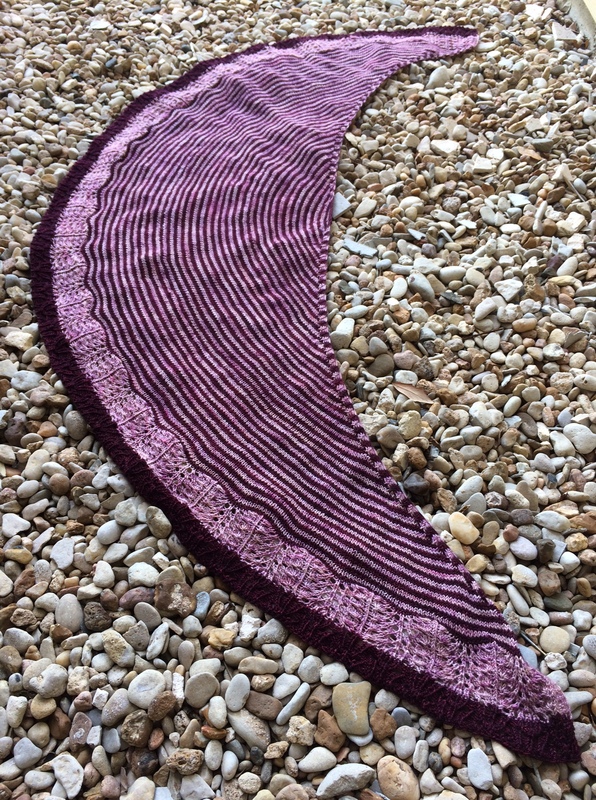 This shawl, with a simple-to-knit, top-down crescent construction borrowed from the very talented designer Jennette Cross, is inspired by trapeze artist and aerial acrobatrix Leona Dare (1854–1922). Dare’s signature performance was to grip onto a hot-air balloon by her teeth as it rose thousands of feet into the air. Now that’s a high-wire act. To read more about some of the amazing female circus performers in history, check out this article at Mental Floss. Love this pattern, you look good. 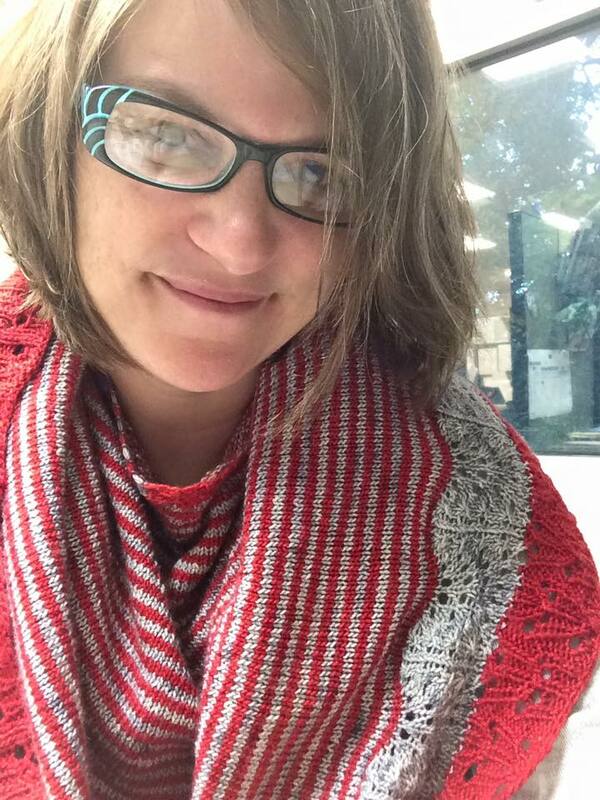 I am glad that you are still designing and knitting. Thank you, Margaret. It does feel good to be back at it.